InLoox PM 7 provides you with rapid and comfortable assignment of e-mails to the project document storage. If you have already added the e-mail, you see its link. Use the filter to search for the project. For more information, see Search and find projects. 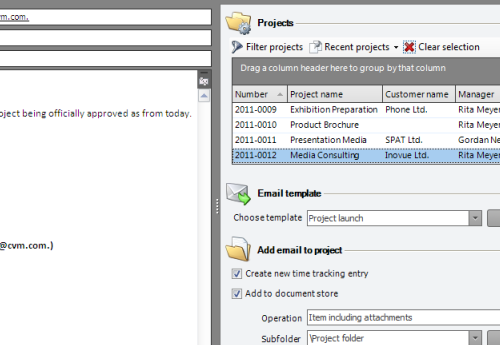 Click Links to link the Outlook element with project elements. Click Add and then OK.
How to use the email quick access panel in InLoox PM 7 • Copyright 1999-2019 © InLoox, Inc. All rights reserved.